The Irvington Fire Department responded to a call for a fire on New Year's Eve morning. The home owners placed embers from their fire place on their deck the night prior. When they woke up, they saw a smoldering hole in their deck. Please reminder to never place hot embers on your wood deck. This was a very close call! A picture through our thermal imaging camera shows the hole through the deck as well as some moderate heat spots around the hole. 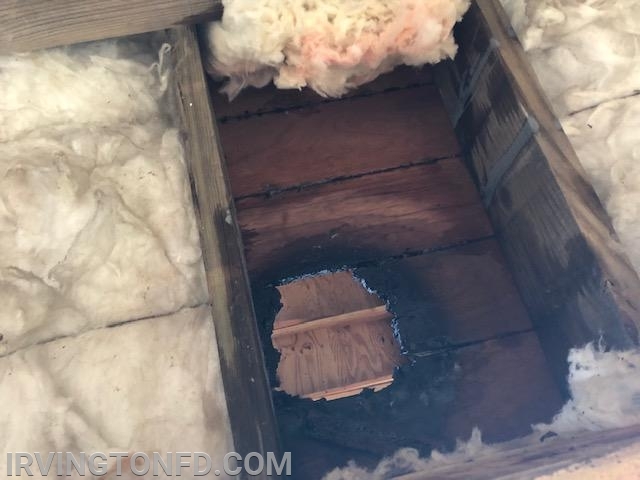 An image of a hole through the deck.